Everyone agrees the Wet Mountain Valley has beautiful properties, but all the "Special Ones" have already been taken. The Retreat on Macey Creek is the rare opportunity to own one of the "Special Ones". A manageable recreational mountain property with live water, secluded in a cozy alpine setting, at the base of the Sangre de Cristo Mountains. 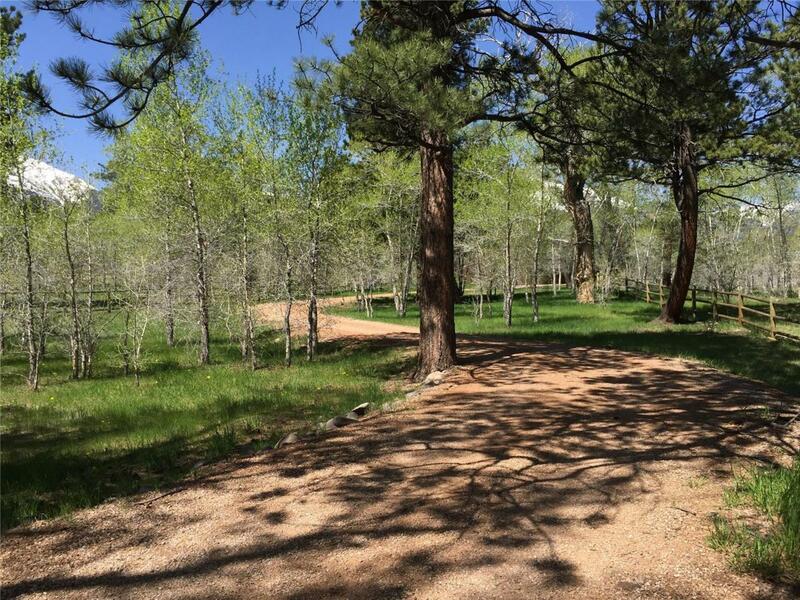 The Retreat on Macey Creek near Westcliffe, Colorado consists of 40 acres of lush, aspen-fringed meadows which are fenced and crossed fenced, Macey Creek meandering through and tall timber. Bordering large working ranches, the owners sited the 3,372 sq. ft home to capture magnificent views of the mountains as well as the rolling Wet Mountain Valley. The Retreat on Macy Creek provides a unique combination of privacy and wide open vistas - a special retreat to share with family and friends. Offered by Watson Land Company.